The future is written, Naruto will die! 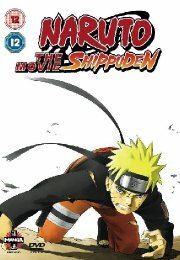 Naruto Shippuden: The Movie is a non-stop action-packed introduction to the brand new series of adventures of ninja-in-training, Naruto Uzumaki. A sinister ninja is using black magic to raise the spirit of the long-imprisoned demon Moryo. If Moryo's body is also resurrected, he will establish a Thousand Year Kingdom that will mean the end of life on Earth as humans know it. Only Shion, the priestess of the Land of Ogres, can stop Moryo by keeping his body sealed within a hidden temple. Naruto leads a special squad including Sakura and Rock Lee to protect Shion on her journey.